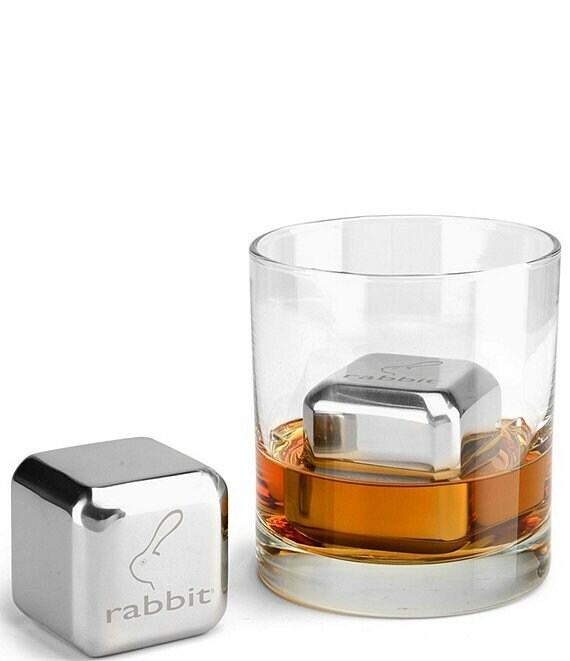 Chill your favorite drink with the Rabbit® Jumbo Chilling Stones. The Rabbit® Jumbo Chilling Stones keep your beverages cold without diluting them. Only one stone is needed to chill each drink. The included storage container keeps your stones clean and secure in the freezer. Works great in wine and soda too.